An Alabama church is coming under fire for a sign on its billboard that compared Roy Moore, the state's controversial Republican Senate candidate, to Jesus. 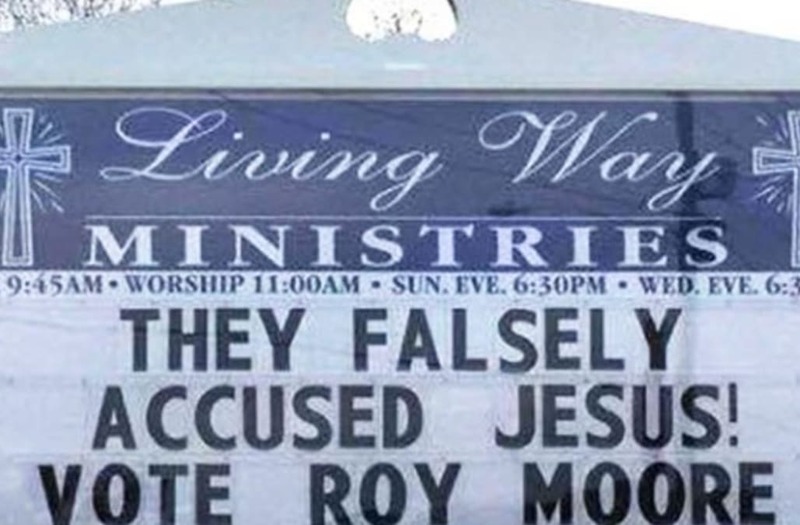 Last week, the sign at Living Way Ministries in Opelika featured this message: "They falsely accused Jesus! Vote Roy Moore." The political message sparked some blowback on the church's Facebook page. It's also possible the message violated Internal Revenue Service rules governing political speech by churches and charities.